Incredible location virtually 2 blocks to the beach access! 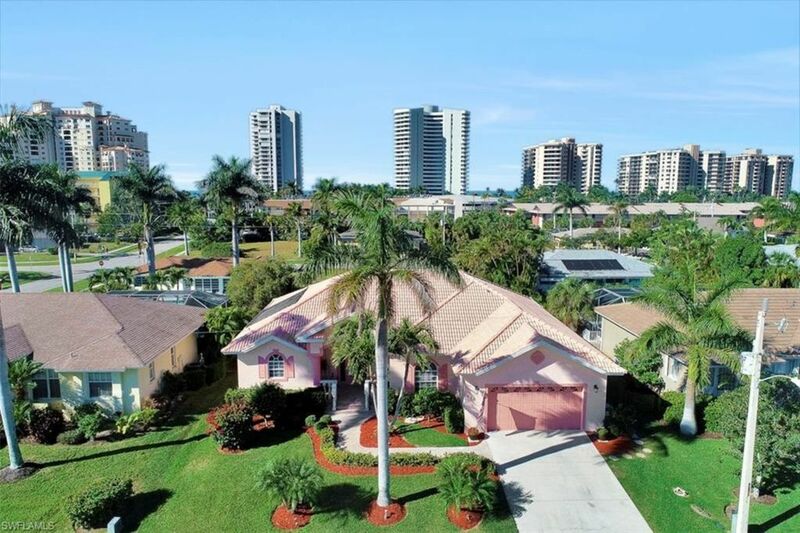 Custom built in 2000, this impeccably maintained pool home is located on one of the more desirable streets in Marco Island. VERY close proximity to public beach access & Resident's Beach! Over $50K in recent updates to include upgraded kitchen w/granite, newer flooring, A/C unit, etc. within this immaculate home. Offers 3 bedrooms (1 w/walk-in closet) + 1 office /bedroom room with murphy bed - within a desirable Great room open floor plan. Enjoy the refreshing heated pool with spa. Well-appointed Lanai outdoor kitchen offers custom cabinetry, Jenn-air grill, refrigerator and w/new dishwasher. Relax in the screened and attractively furnished lanai featuring s spacious area for both sun and shade! Home hard-wired w/generator! Hurricane shutters throughout. Inventory list available for all inclusions. Premium location with Beach access virtually around the corner! Very close walking distance from catholic church and restaurants. House have 3 huge tv. Washer and Dryer and all cleaning supply.